Grace loves Christmas - acting out the nativity story, opening presents, celebrating with Ma, Nana and Paw-Paw. 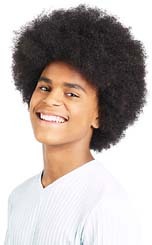 But this Christmas Nana announces they will have visitors from Trinidad. Grace is horrified! She does NOT want to share the day with another little girl she doesn't even know. But after some wise words from Nana, Grace's generous spirit shines through. And in the end, as they all share a special surprise, Grace thinks it could be the best Christmas ever! In these times of families sharing smaller and smaller spaces, Grace At Christmas shows children the real meaning of Christmas spirit and is a great way to introduce your child to the wonders of sharing. 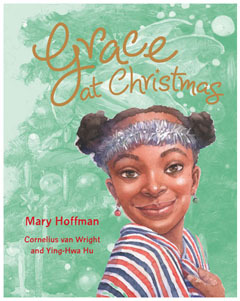 Grace At Christmas by Mary Hoffman, Cornelius van Wright & Ying-Hwa Hu is available to buy now.